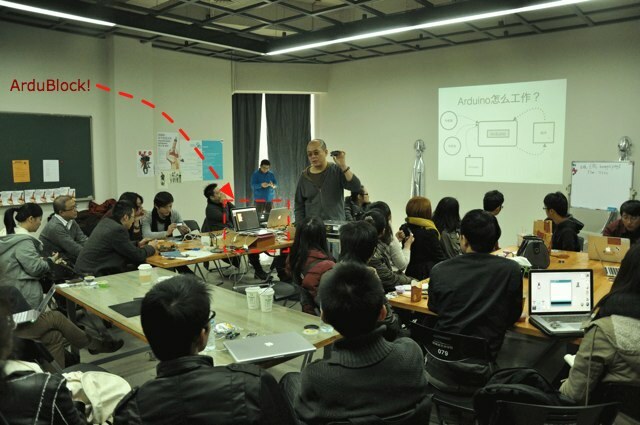 I just got to spend Saturday afternoon in Onion Capsule in Hangzhou teaching a group of new media art students about Arduino and ArduBlock. It’s pretty nice to see the students going from knowing no much about electronic, microcontroller and programming being able to start creating some interesting projects that are fun to play with with in just hours. Try the latest version with added string operations. Check the latest version under generic hardware and let me know if that’s what you are looking for?